If you&apos;ve watched V for Vendetta you understand the significance of November 5. 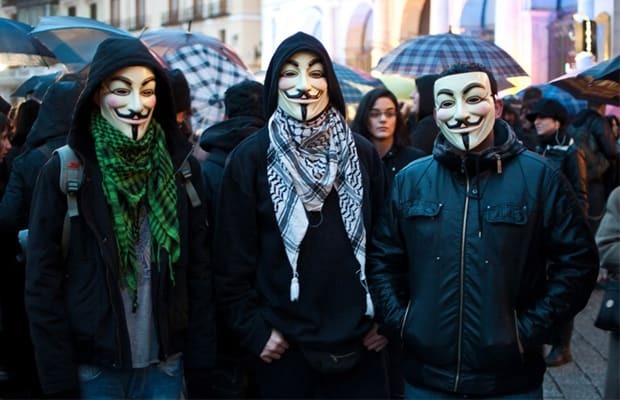 Early in 2012, hacker collective Anonymous claimed it would participate in the global protests of November 5, alternatively called Guy Fawkes Night. To kick it off, last night numerous members of Anonymous made claims on Twitter of acquiring thousands of passwords from PayPal servers. The tweets made regarding the PayPal hack contained links to files on PrivatePaste.com. The links exposed emails, names, and possible passwords of 27,935 PayPal users. PayPal was not the only target. NBC&apos;s website was recently defaced by a hacker going under the moniker "pyknik." Anonymous also made claims to hacking the websites of VMWare, ImageShack, and Symantec. No official statement has yet been released from PayPal regarding the incident, but to be on the safe side you should change your password immediately.